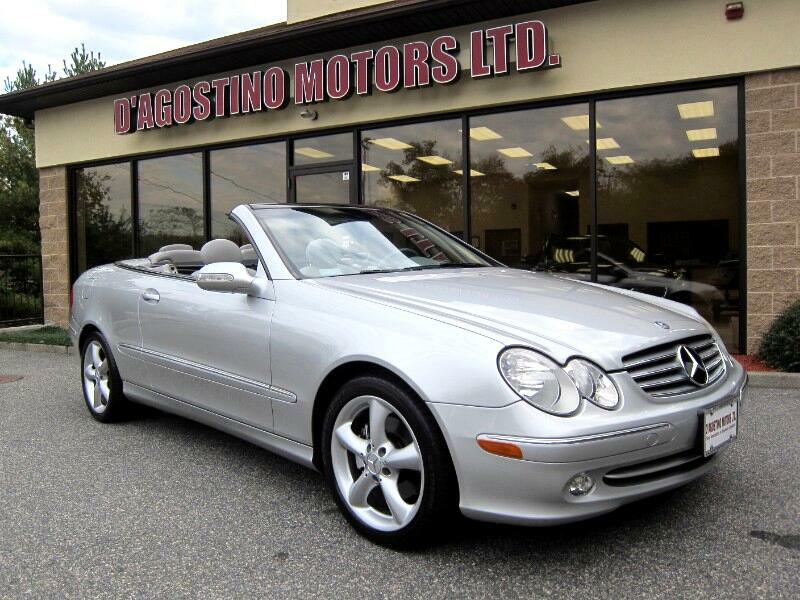 Used 2005 Mercedes-Benz CLK-Class CLK320 Cabriolet for Sale in Smithfield RI 02917 D'Agostino Motors Ltd.
NEW ARRIVAL !!! ARE YOU LOOKING FOR A NICE TOY AND DON'T WANT TO SPEND A LOT OF MONEY !!! WELL HERE IT IS, A NICE MERCEDES BENZ CLK 320 CONVERTIBLE !!! LOW MILES !!! SUPER CLEAN !!! CLEAN CARFAX !!! HARMAN KARDON PREMIUM AUDIO SYSTEM !!! POWER HEATED LEATHER SEATS !!! POWER TOP !!! ONLY68,000 MILES !!! The CLK 320 Delivers Good Handling , Styling ,and Luxury !!! Come Experience the D'Agostino Difference! We Go Through our Vehicles with a Fine Tooth Comb from All Mechanical Aspects to an Extensive Reconditioning and Detailing Process, Expect to View the Cleanest Vehicles in New England Guaranteed !! !